Last year it was Missoni, this year it is Jason Wu. 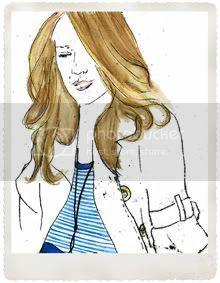 Target (USA) launches on Feb 5 their next Designer Collaboration. And I am in the States for this. I would love to see the product. "Affordable" Designer fashion is a bit like a Monet looks great in the campaigns and from afar, but up close the fabric used makes it not quite right. Below is a snap shot of the designs. Following Wu's classic style, the collection has strong geometric lines with a tailored feminine fit. I too, also love the TVC.